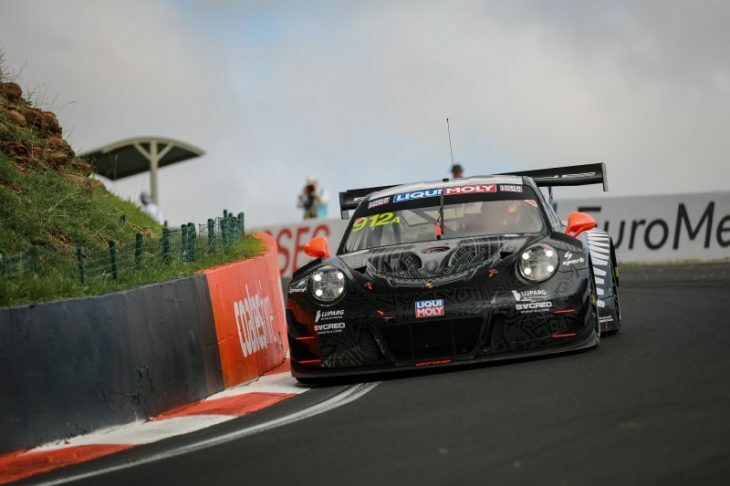 Earl Bamber Motorsport’s #912 Porsche 911 GT3 R of Matt Campbell, Dennis Olsen and Dirk Werner has won the 2019 running of the Bathurst 12 Hour, after a dramatic finish in which seven cars were on the lead lap (representing six marques) for a dash to the flag after a restart with less than half an hour to go. Jakes Dennis in the #62 R-Motorsport Aston Martin kept his cool from the front of the line at the restart and managed to pull away briefly up front while the cars behind squabbled for position, looking to take a huge win for both Aston Martin and the R-Motorsport team in the outgoing Vantage GT3, which was in its final Bathurst 12 Hour as the British brand’s flagship GT3 model. But he couldn’t hold on. Instead Matt Campbell steered the #912 Earl Bamber Porsche to the win. 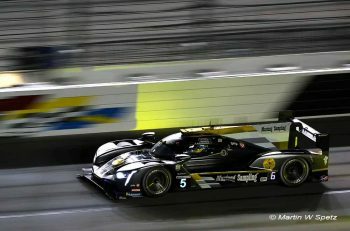 He made two head-turning moves, the first to past the Gruppe M Mercedes (which led early from Pole and was in contention throughout) of Raffaele Marciello with 17 minutes left, and then later for the lead of the race after he caught the back of the Aston Martin with eleven minutes to go. Campbell stuck the nose of the #912 Porsche on the inside of the #62 Aston at the Elbow and was able to force his way by and defend the lead into The Chase. Dennis, who had a stunning weekend and was the star of qualifying before the #62 was disqualified from Super Pole, tried to get a tow and take the place back, but he couldn’t get alongside the Porsche and reclaim the lead. Instead he had to settle for second, and Campbell won the race by 3.4 seconds. 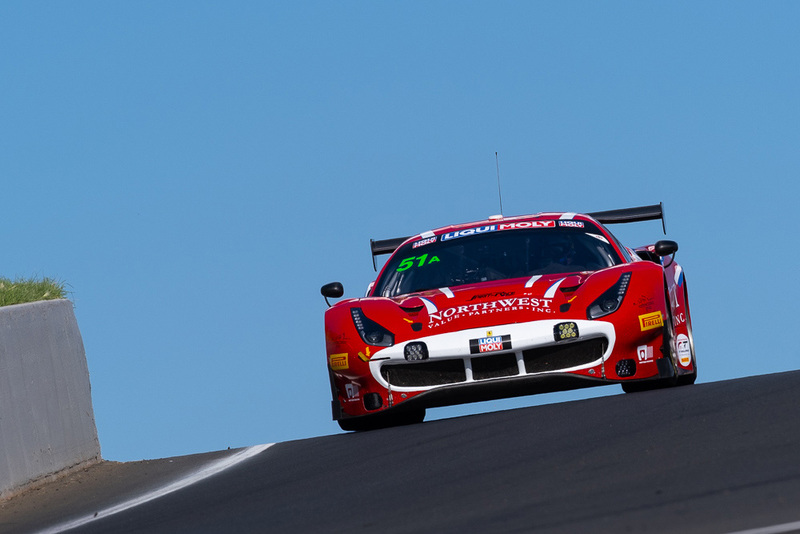 As well as being intense right until the end, it was a historic edition of the Bathurst 12 Hour. The distance record was smashed and Porsche took its first overall win, adding a victory in the Australian event to its enormous list of huge international race wins. “What a way to send off the car. When the guys said I was in fifth after the pitstop I knew I had to push. 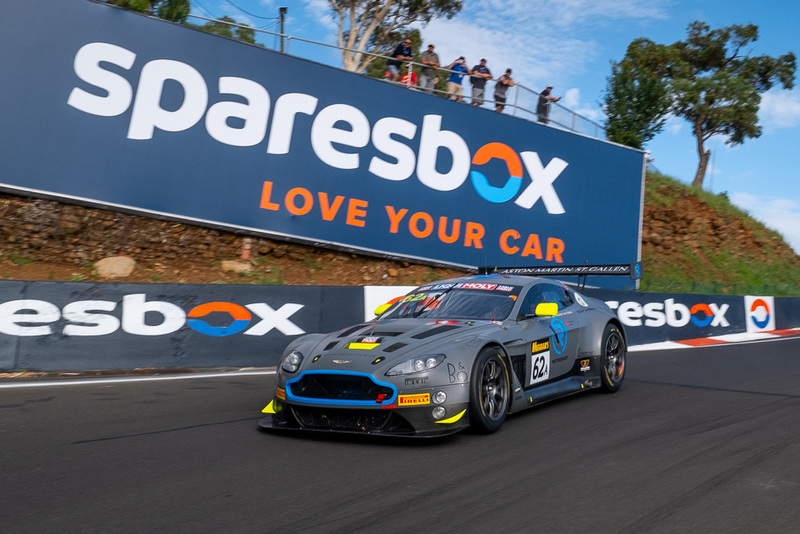 The Aston Martin is quick on the straights so I had to do something different,” exclaimed Campbell, who was investigated post-race for contact with Chaz Mostert, but handed no penalty. 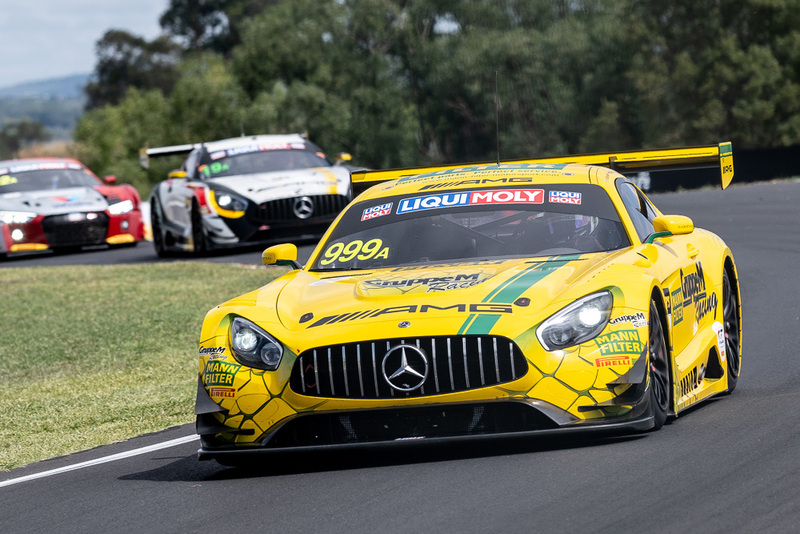 Third was eventually the Gruppe M Mercedes, after an astonishing defensive drive by Raffaele Marciello holding off Shane van Gisbergen’s #888 Vodafone Mercedes (which crossed the line two tenths off), the Schnitzer BMW M6 GT3 of Chaz Mostert and #108 Bentley of Andy Soucek. The #888 Team Vodafone Mercedes-AMG GT3 used the last Safety Car to pit for tyres, the only one of the top seven cars to pull such strategy. 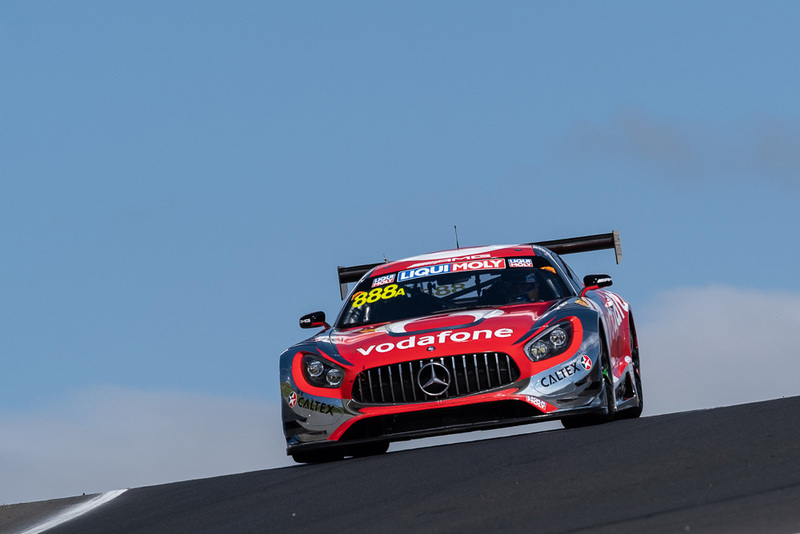 Shane Van Gisbergen, on those fresh tyres, moved the #888 Mercedes past the #42 BMW of Mostert. The #18 KCMG Nissan GTR GT3 was due to finish in the top six, but was disqualified from the event after failing to serve a drive-thru penalty given to them when Alexandre Imperatori was caught swerving under the Safety Car. 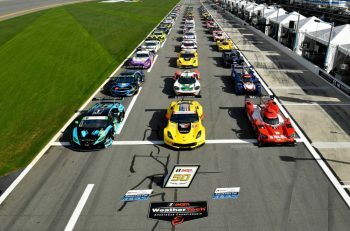 It was a brilliant win for Campbell, his team-mates Dennis Olsen and Dirk Werner and for Earl Bamber Motorsport in its very first start in GT3 racing. Huge credit must be given to the R-Motorsport crew also. Jake Dennis was standout performer in the #62 car, this the final Blue Riband GT enduro for the V12-engined Vantage GT3 ably supported by Marvin Kirchhöfer and Matthieu Vaxiviere who overcame a pair of starting grid penalties to string together a brilliant result that, but for a breakout performance from Campbell could easily have ended the Aston’s career here with a win. 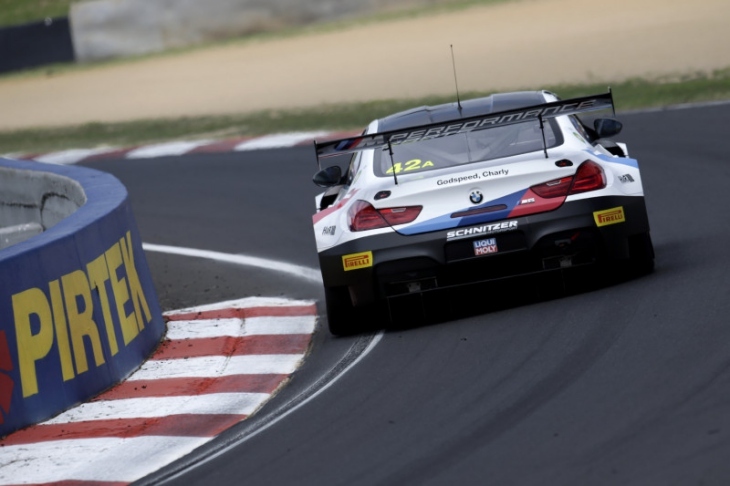 A word too for BMW Team Schnitzer. Fifth will feel like a failure, but it battled all day for the honours, and to remember their fallen hero Charly Lamm. Godspeed Charly it said on the boot lid, its M6 GT3 certainly had that, though ultimately not quite enough, Charly would nevertheless have been proud of the spirit shown though. Class A Pro-Am was won by the #51 Spirit of Race Ferrari 488 GT3 of Pedro Lamy, Paul Dalla Lana and Mathias Lauda, in what was a comeback drive following the team’s dramas pre-race. The WEC-trio will leave Bathurst satisfied to say the least after what was one of their best races together as a trio. Behind the Matt Stone Racing Audi finished up second, two laps back, ahead of the Audi Sport Team MPC R8 LMS which completed the podium a further lap behind. Elsewhere, away from the GT3 ranks, the Grove Porsche dominated Class B, T2 Racing by Liajen Motorsport’s MARC II V8 took the Class I honours and the #48 M Motorsport KTM X Bow GT4 won Class C.